Recently it was reported that tattoo related terms received more searches per month then most adult related keywords. 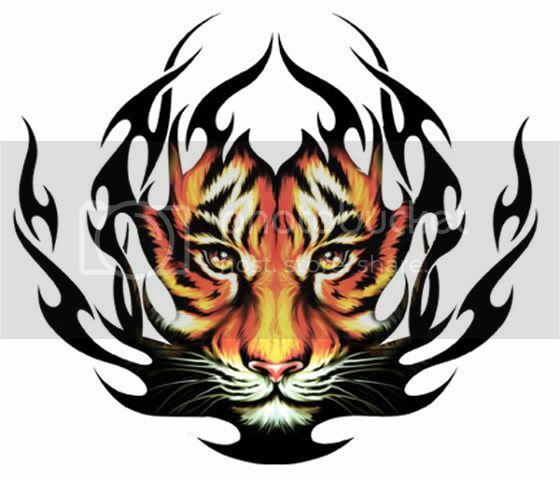 This has spawned a huge growth of websites selling flash tattoo designs. You can go and visit these sites and for $10 or so find a tattoo design. You can then download this design and take it to your local tattoo parlor and get a new tattoo. Well, for many this has become the Achilles heel so to speak of the tattoo art industry. Buying tattoos this way is definitely contrary to the main reasons people get tattoos. Tattoos and the tattoo industry has always held that tattoo art was the last bastion of personal expression and freedom in America. You see most tattoo enthusiast feel that the tattoo they get are very uniquely theirs and a tattoo, being something you have to live with for a long time, should say something about yourself. So these huge flash tattoo sites come along and sell thousands of the same tattoo to people. These same people go to their local tattoo parlor and get a new tattoo and soon they are sporting it around town feeling proud to assert their individuality. However in reality they have just copied a bunch of other people and probably ended up with a tattoo that says nothing interesting or unique about them. They just bought the design because it was popular.